Carl Michael Leonard Novak, son of Charles and Maria Glock Novak was born near Logan, Kansas, May 30, 1891, and departed this life at Phillips county hospital, Phillipsburg, Kansas, December 11, 1973, having attained the age of 82 years, 6 months and 11 days. 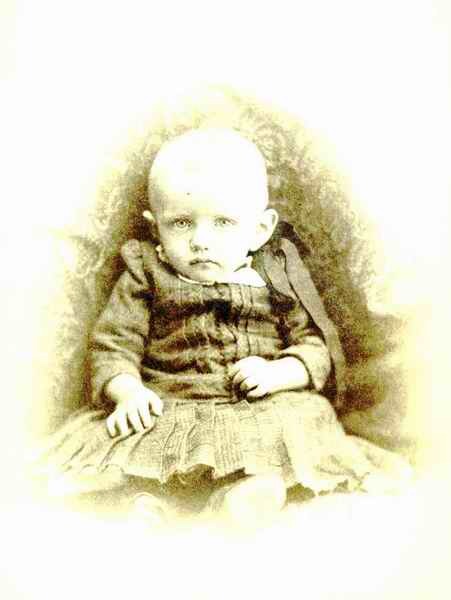 Carl was baptized into the Christian faith June 29, 1891, at the home of his parents and was confirmed in the Lutheran faith at St. Peter's Lutheran church northeast of Logan, Kansas in 1906. He was a life-long member of the Lutheran church and a member of Emmanuel Lutheran church, Stuttgart, Kansas, at the time of his death. On October 9, 1918, he was united in marriage with Sophia Margaret Boethin at St. Peter's Lutheran church, Logan, Kansas. To this union two children were born. He and his wife also raised her sister's son, Alvin Schick following her death. Carl grew to manhood in the Logan vicinity and farmed northeast of Logan until his retirement a few months ago when he moved to Phillipsburg, Kansas. He was preceded in death by his parents, by his two children, by his sister, Katherine and by his brother, George. He leaves to mourn his passing, his wife, Sophia of the home in Phillipsburg, Kansas, son, Alvin Schick and his wife, Thelma, Phillipsburg, granddaughter, Cindy, and grandson, Ronald. He also leaves two sisters, Mrs. Ida Ehm and Margaret Novak, both of Phillipsburg and one brother, W. G. (Bill) Novak, Logan, Kansas, plus nieces and nephews and many friends. Funeral services were held December 14, 1973 at the Emmanuel Lutheran church, Stuttgart, Kansas, with the Rev. Duane Levin, officiating. Hymns were sung by Alvin Veeh and Norman Merklein and by the congregation with Mrs. Marene Levin as organist. Casket bearers were Lawrence Satter, Max Schick, Calvin Boethin, John Forssberg, Harold Forssberg and Edwin Pflieger. Burial was in the St. Peter's Lutheran cemetery. Wolf Creek, Logan, Kansas to await the resurrection. We wish to extend our most heartfelt thanks to those who remembered us with cards, flowers, memorial contributions, food gifts, personal visits, prayers and all other kind expressions of sympathy at the time our bereavement. A special thanks to Pastor Paul Dirks for his comforting help and to the Stuttgart ladies who served lunch. We shall never forget your thoughtfulness. May God bless you. Sophia Margaret Barbara Novak, daughter of Fred and Maria Mueller Boethin, was born near Logan, Kansas, on October 25, 1894, and departed this life at the Phillips County Hospital, Phillipsburg, Kansas, on September 22, 1981, having attained the age of 86 years, 10 months and 28 days. Sophia grew to womanhood on the parental farm northeast of Logan and spent her life as a resident of Phillips County, Kansas. On November 25, 1894, she was baptized into the Christian faith at Logan, and was confirmed in the Lutheran faith on April 5, 1909, at Logan. She was a member of the Emmanuel Lutheran Church, Stuttgart, Kansas, at the time of her death. She was a life-long member of the Lutheran Church. She as united in marriage with Carl Novak on October 9, 1918, at Logan. To this union two children were born. She and her husband also raised her sister's son, Alvin Schick, following his mother's death. Sophia and her husband Carl farmed northeast of Logan for many years until his retirement when they moved t Phillipsburg. Failing health caused her to enter the Phillipsburg Nursing Center until she entered the Phillips County Hospital. She was preceded in death by her parents, her husband, by her two sons who died in infancy, her son, Alvin Schick and three brothers and two sisters. She leaves to mourn her departure one brother, Paul Boethin, Phillipsburg and two great grandchildren. Memorial services were held on September 25 at 10:00 a. m. in the Emmanuel Lutheran Church, Stuttgart, Kansas with the Rev. Duane Levin officiating. Burial will be in the St. Peter's Wolf Creed Cemetery, Phillips County, Kansas. A memorial has been established to Cancer Research. Contributions may be sent to Lucille Hofoker, Logan, Kansas 67646.